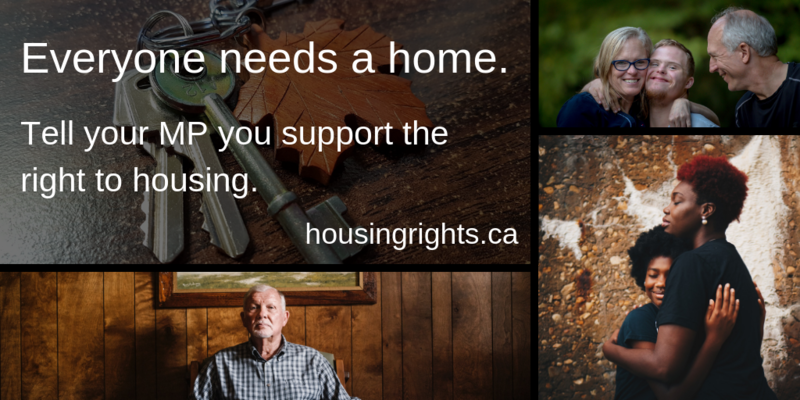 Download & share to help us spread the word! 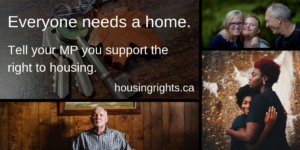 Click on the images below to see them full-size. Right-click to save the image and share with your networks! 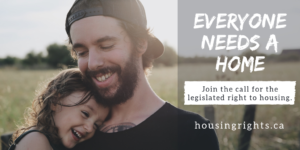 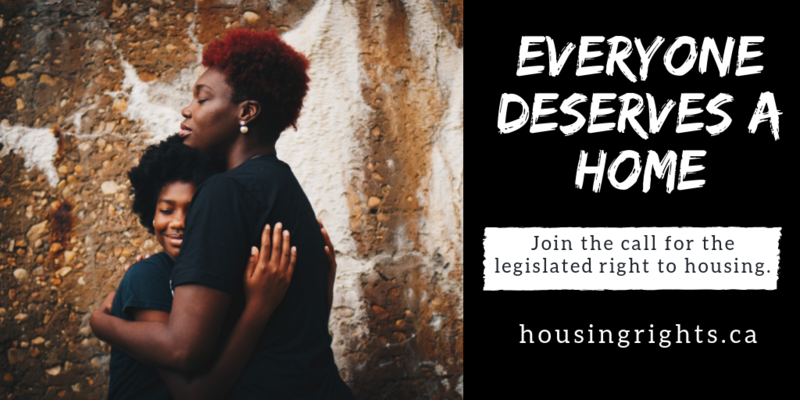 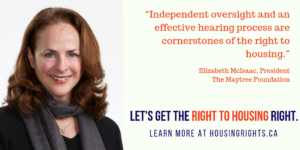 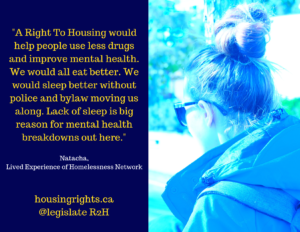 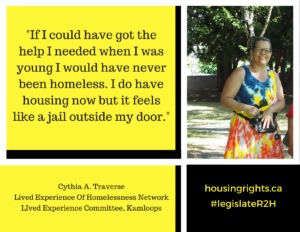 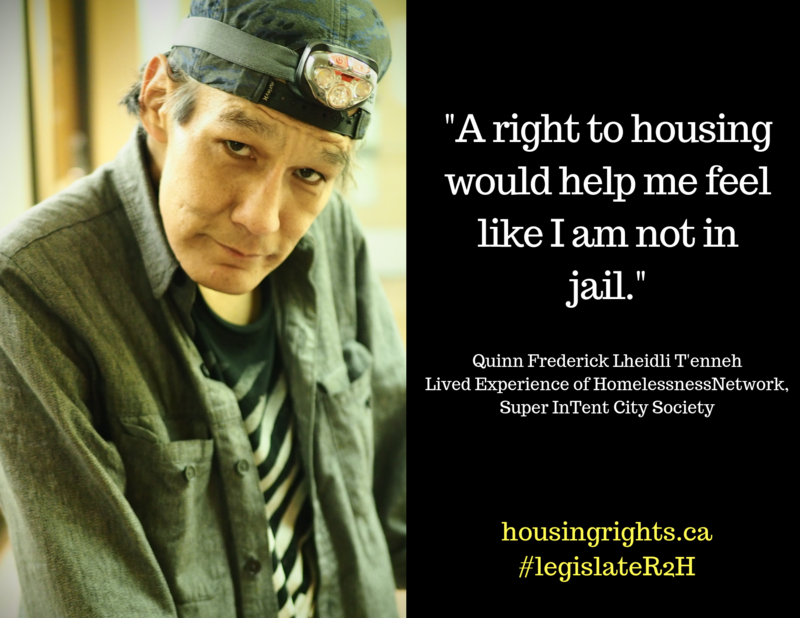 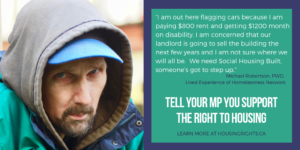 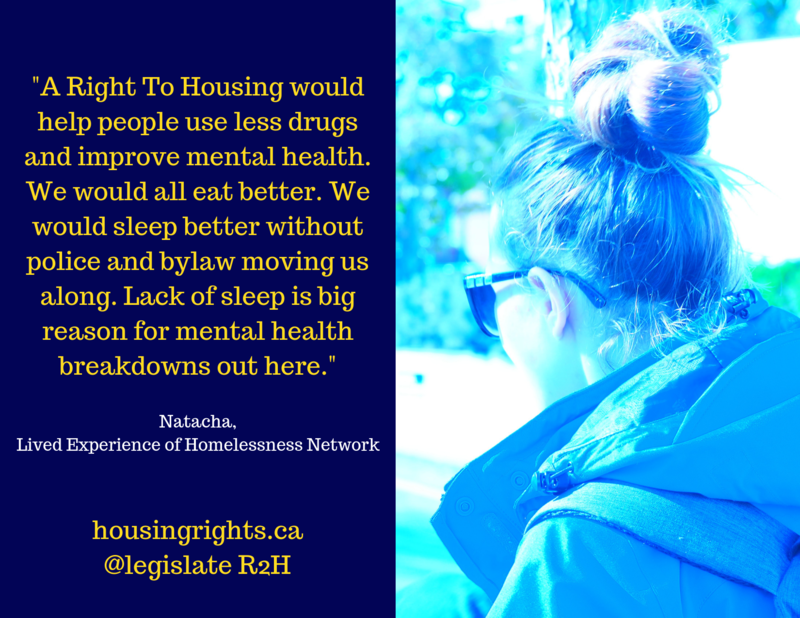 Please tag us on Facebook and Twitter using @legislateR2H and consider using #legislateR2H or #right2housing in your posts. 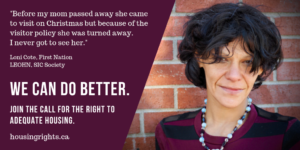 Est-ce que vous cherchez les versions françaises? Cliquez ici. 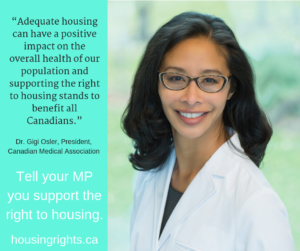 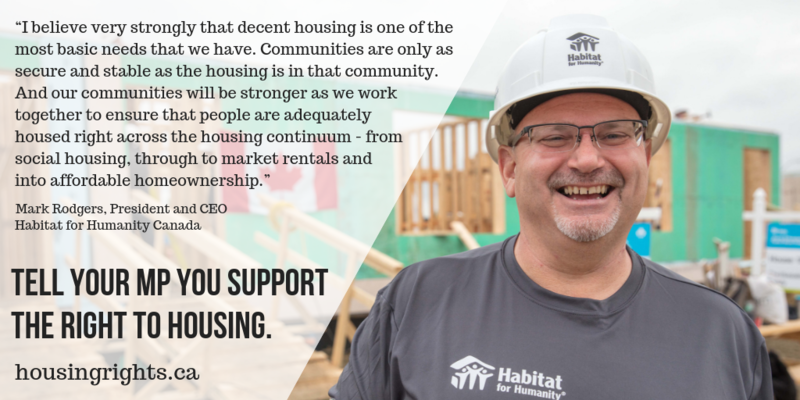 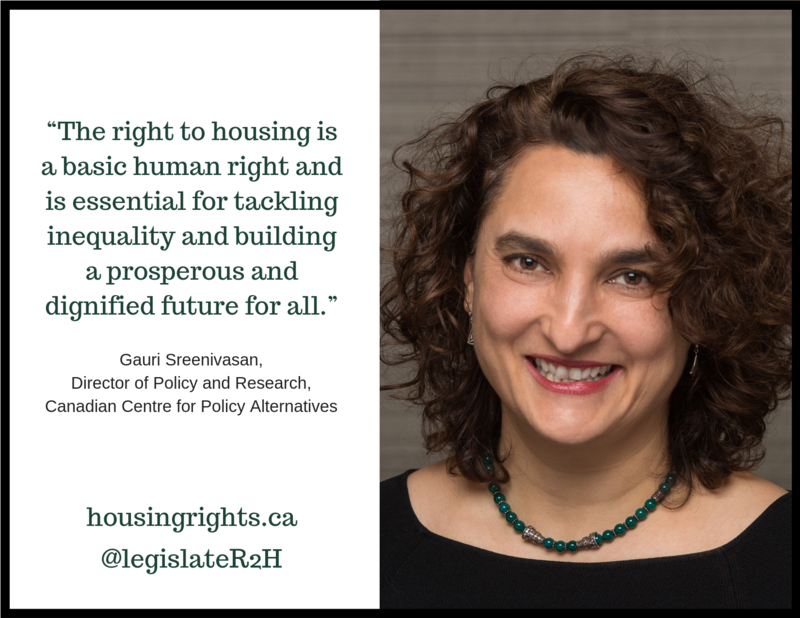 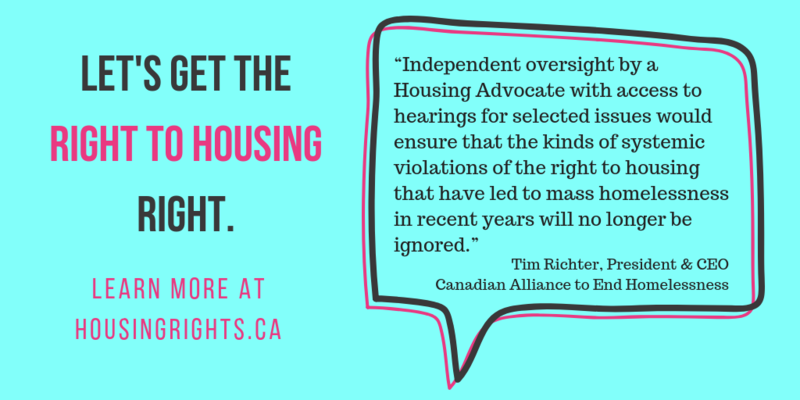 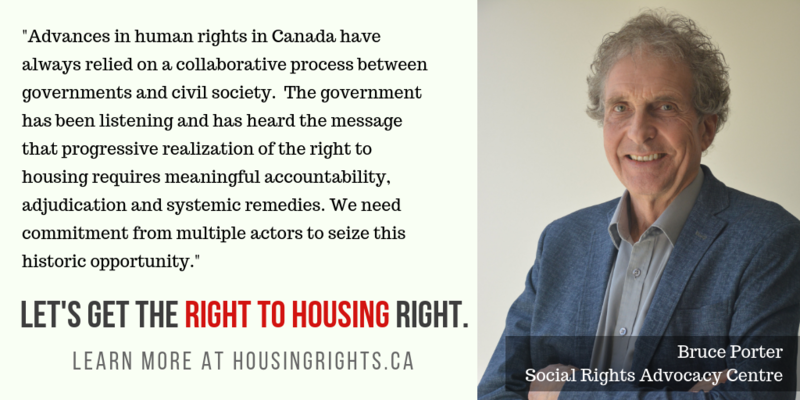 Thanks to all our partners who have shared their words and images in support of the right to housing. 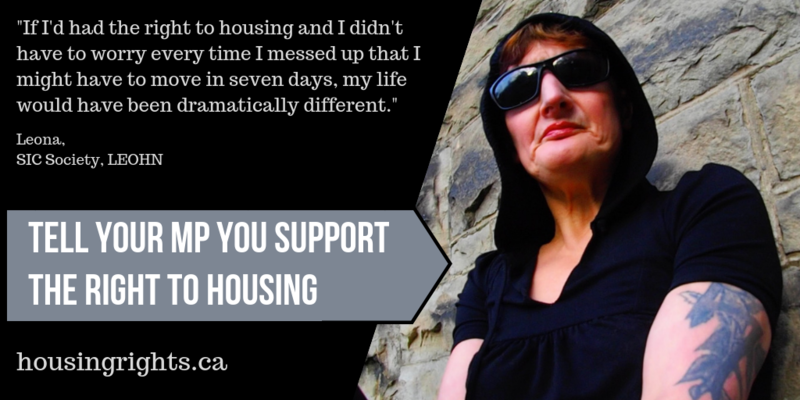 Special thanks to Kim A. Hines and members of the Lived Experience of Homelessness Network and the Super InTent City Society in Victoria. 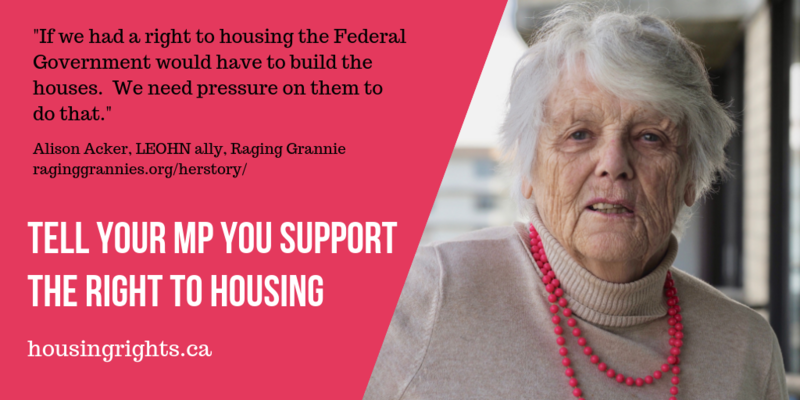 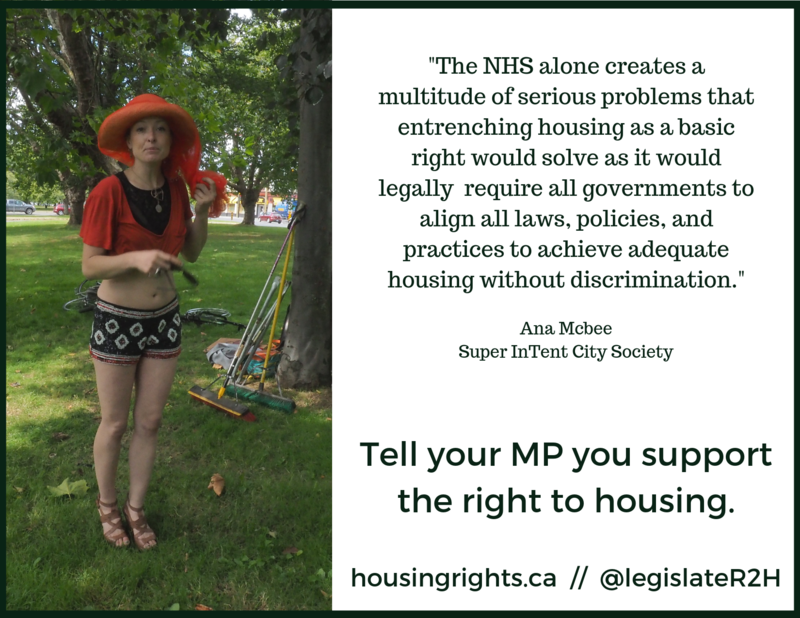 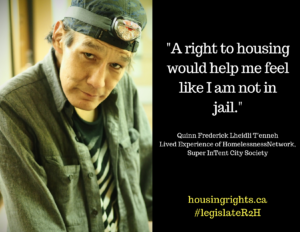 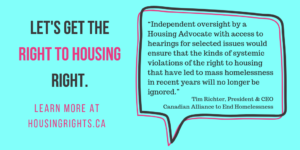 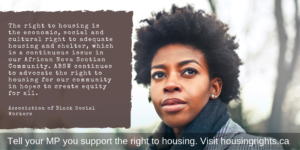 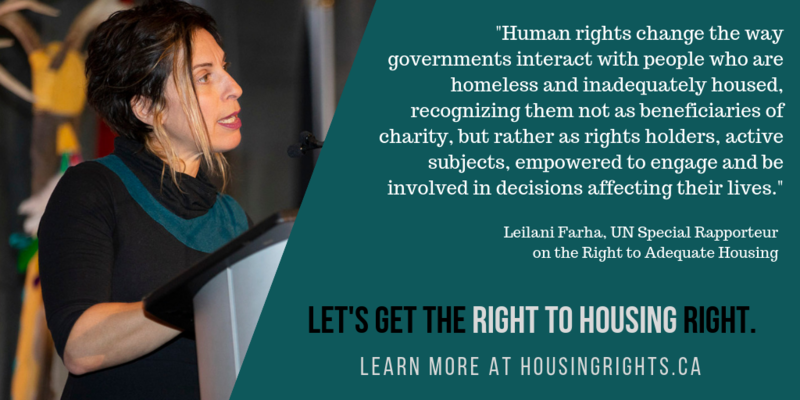 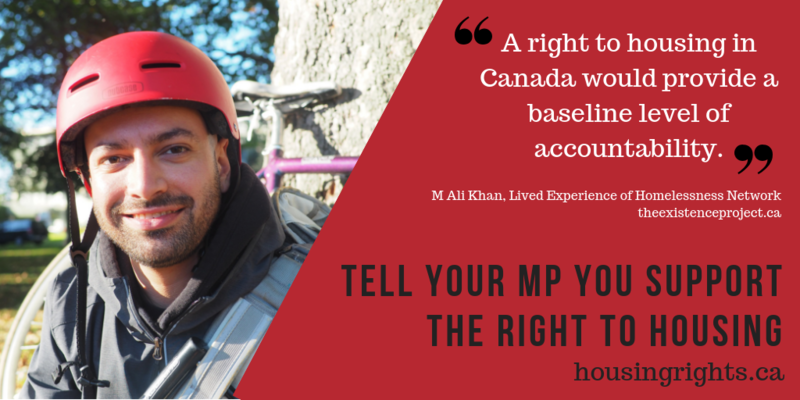 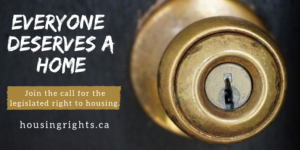 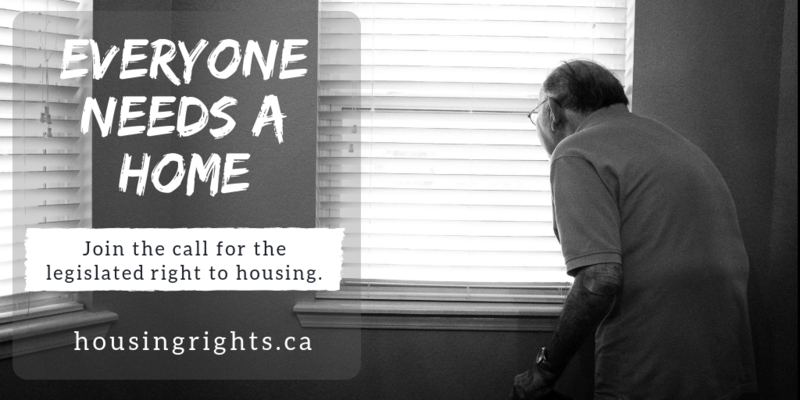 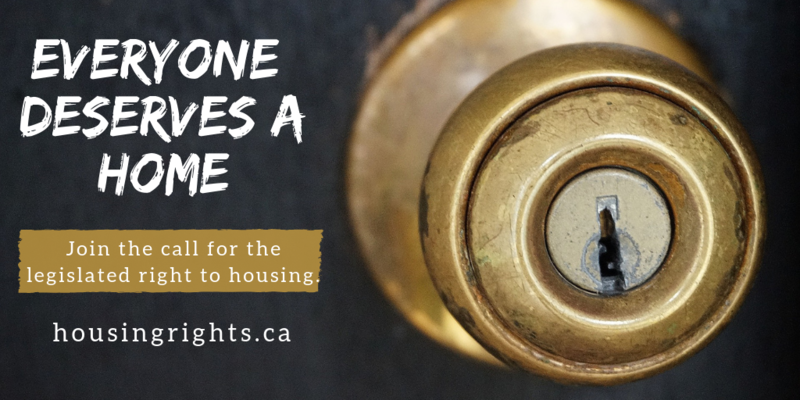 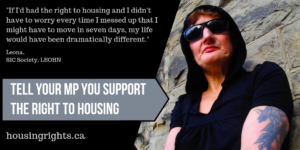 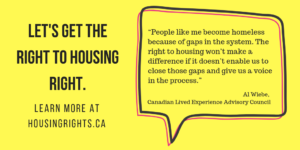 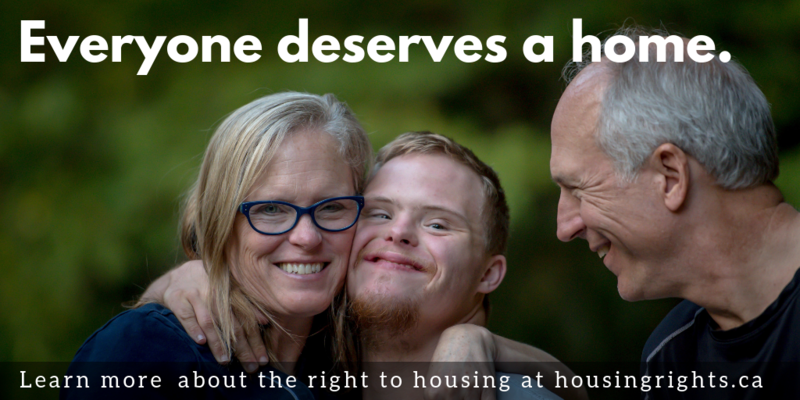 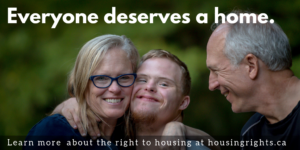 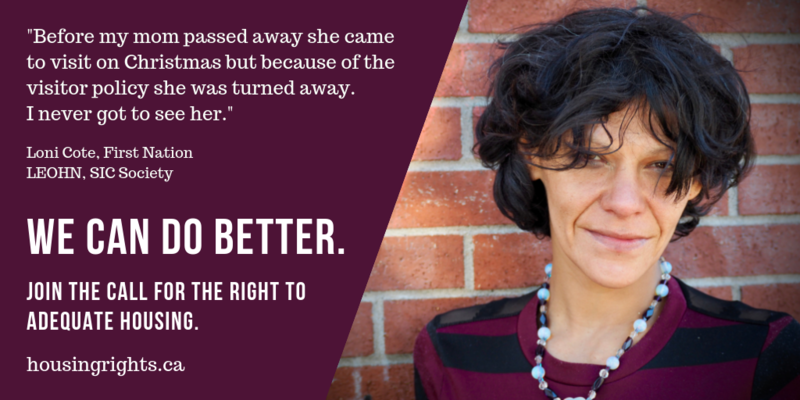 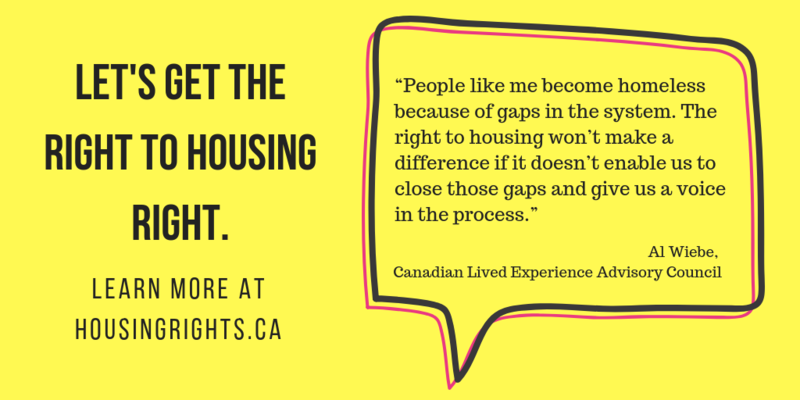 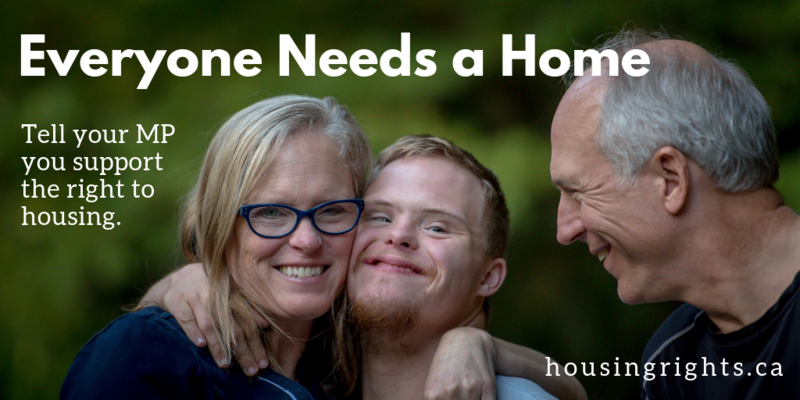 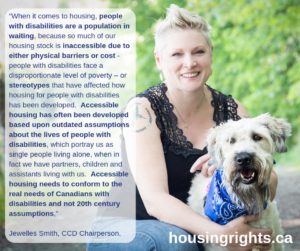 Would you like to share why you support the right to housing? 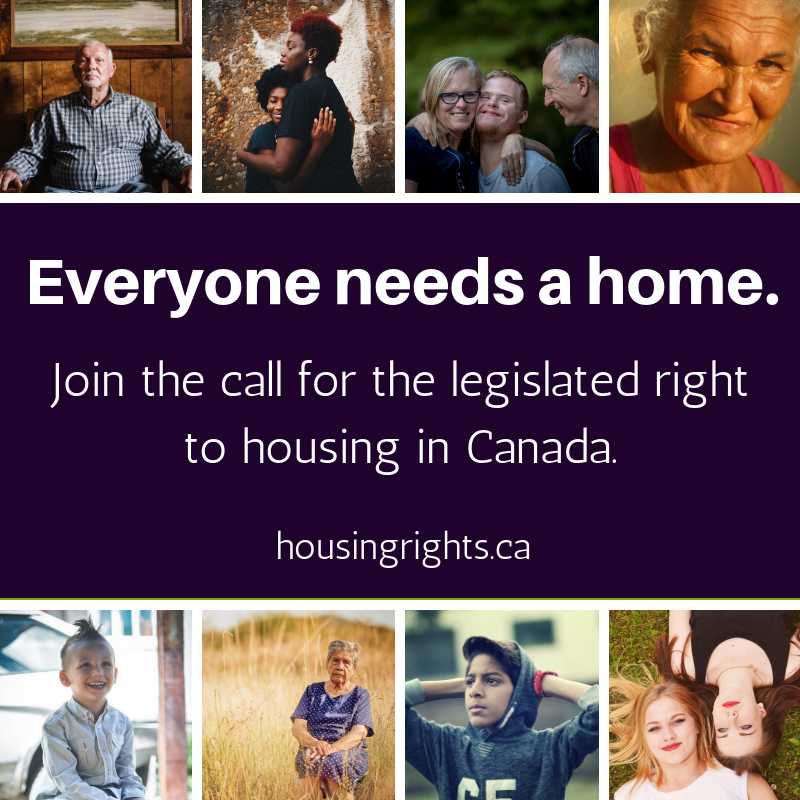 Send us your quote and photo at right2housinglegislation@gmail.com and you may be featured as well!